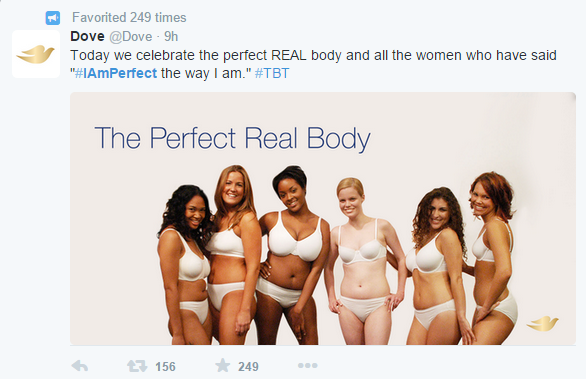 It seems like every so often another company gets in deep trouble with respect to how they portray body image and beauty in the media. This week critics slammed Victoria’s Secret for its latest campaign dubbed “The Perfect Body”. The ad features ten models wearing various styles of bras from their collection with the words “The Perfect Body” written across the centre of the image. From a company perspective, this may have not been intentional because the bras are actually referred to as ‘the perfect fit, perfect comfort and perfectly soft’. However, in a world where body image is constantly being spoken of and women are easily influenced by what they see in the media, it certainly can be misconstrued. It could also be said that it was done very deliberately to get attention, spark conversation and in the end convert to sales. Only they know why they chose to do what the did. I can understand why this would create backlash and even cause patrons to boycott the company. It’s difficult enough having to compete with seeing so-called perfection in media, but then to have the words ‘perfect body’ slapped across a few gorgeous models could potentially make people question their own sense of ‘perfection’. 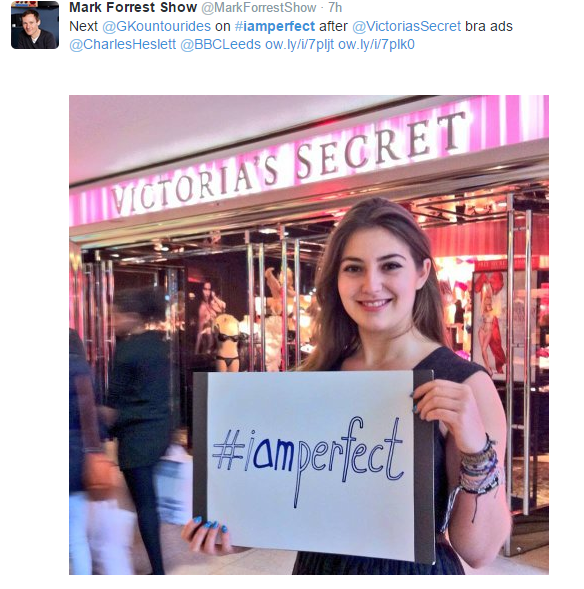 Frances Black, Gabriella Kountourides and Laura Ferris are three British students who have created a petition on Change.org in order to demand Victoria’s Secret either change the campaign or make a public apology for its use of “Perfect Body”. (CLICK HERE TO SEE PETITION) As of October 31 the petition had nearly 14,000 signatures. What are your thoughts on this Victoria’s Secret ad? Do you think it’s causing more harm than good? Will you tweet #iamperfect to voice your opinion?